Elgin Academy is an independent private school located in the heart of the Chicago suburbs. 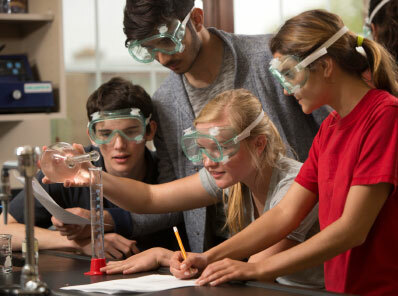 Our private high school and private middle school education programs are some of the best in Illinois. Here, taking learning personally is more than a credo — it defines our promise to each and every student and family who calls Elgin Academy home. We guide our students to be prepared for what lies ahead whether they are in preschool, kindergarten, elementary school, middle school or high school. Unlike charter schools, we create individually-focused academic curriculum to help students grow. In our intentionally small-scaled classes, we listen and respond to the voice of every child. Instead of finding cracks to fall through, our students cement relationships that build character, discipline, and trust over their time here. Early childhood and private elementary school education help equip children for a lifetime of learning. Private middle school programs build a foundation for future success in upper school. Elgin Academy provides individualized attention, hands-on learning and small classroom sizes to help students grow. As one of the best high schools in Illinois, Elgin Academy’s Private High School program prepares students for collegiate success. Our secondary school students learn skills that serve them incredibly well in college. By the time students graduate our leading private high school, they have mastered APs and SATs, played varsity sports, fine-tuned fine arts, visited foreign lands, and realized childhood dreams. As they embark to fine colleges and universities nationwide and internationally, graduates of Elgin Academy’s private high school program are well prepared for college level education. Just as we insist our academic classes unfold as vivid conversations rather than rote lectures, we invite you into a conversation about how your family might fit at our private academy. By far the best way to get that all-important feel for Elgin Academy is through a visit and a campus tour, which you can arrange by filling out the Get Started form, or call us at 847-262-9268.